Time sure does fly when you’re laughing! 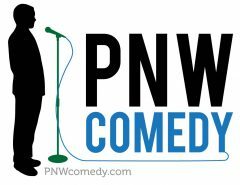 PNW Comedy is proud to announce the Two Year Anniversary Show of its One Night Only comedy shows in McMinnville, Oregon. 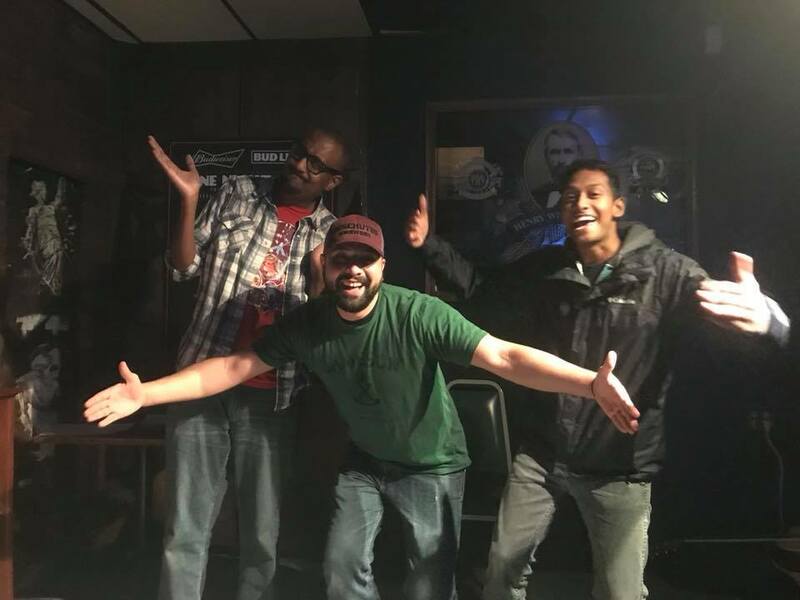 The shows couldn’t have happened without all the sponsors and comedians that have participated over the last couple of years. But one stands out from all the rest- The MAC Club in McMinnville, OR. 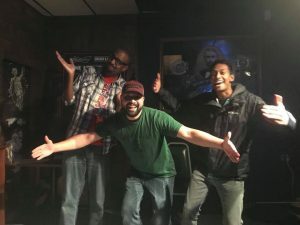 They have allowed comedy to take a prominent place in their entertainment venue and have given comedy-lovers in Yamhill County an option to see some of the best local and national touring comics right in their own backyard. 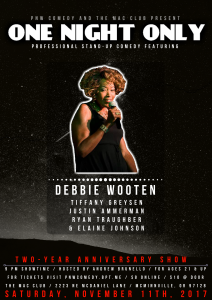 Deborah Wooten is the featured comic this month, with Tiffany Greysen, Ryan Traughber, Elaine Johnson and Justin Ammerman rounding out the show. 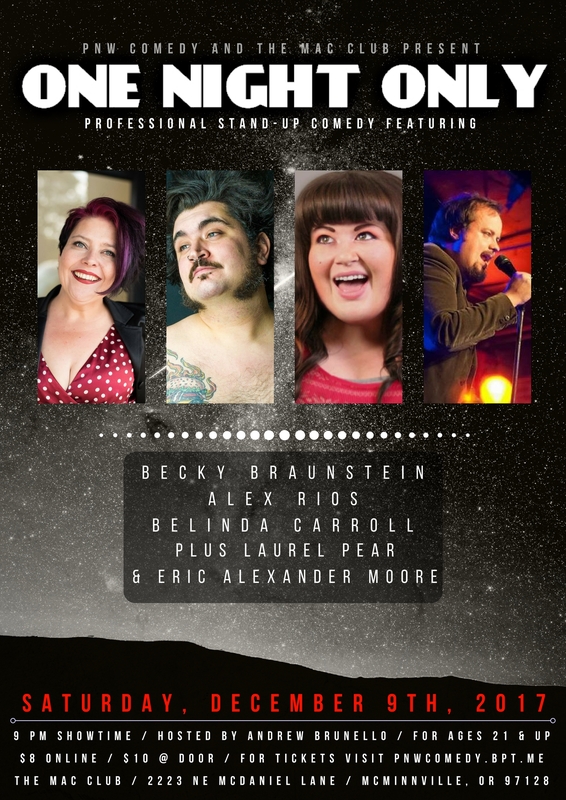 Hosted, once again, by Andrew Brunello. Showtime is at 9 PM. 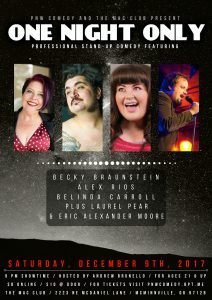 Tickets are available both online and at the door the night of the event. For ages 21 and up. For more information, please visit this link. The Mac Club is located at 2223 NE McDaniel Lane, McMinnville, OR 97128.